Treat your skin to intense, dewy hydration with Kiehl's oil-infused sheet mask. Formulated with cold-pressed Amazonian oils, this hydrating sheet mask helps smooth and soften skin. This advanced, 2-piece bio cellulose-embedded hydrogel mask is designed to comfortably adhere to all face shapes. Indulge in rejuvenating hydration for radiant, glowing skin. Explore the entire range of Sheet Masks available on Nykaa. 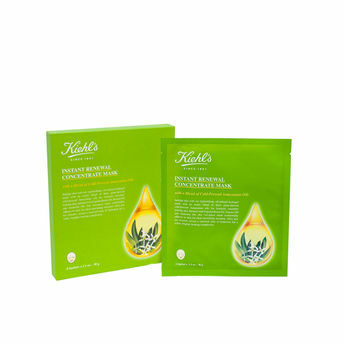 Shop more Kiehl's products here.You can browse through the complete world of Kiehl's Sheet Masks .